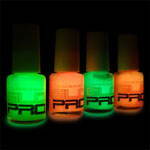 Thanks to it's glow-in-the-dark feature, Glo Pro make casting and baiting at night a whole lot easier. 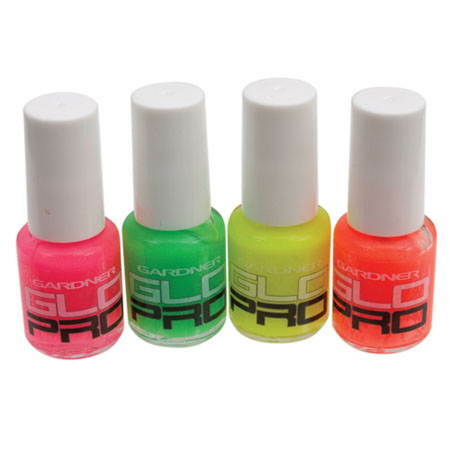 Whether you are casting, using a bait bout or spodding Glo Pro is the answer. 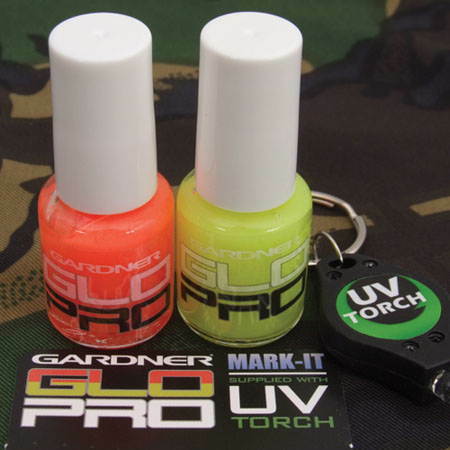 Since Glo Pro is painted onto the mainline it has no parts that will snag or catch onto the rod eyes during casts, it will not slip while playing a fish and thanks to its rubbery/flexible texture you can easily remove it by simply using your nails without causing any damage to your main line. After deciding at which distance you will be fishing, paint a thing layer of about 3cm of 'Glo Pro' onto your line. Wait till the painted area becomes touch dry, a couple of minutes will do, before use. 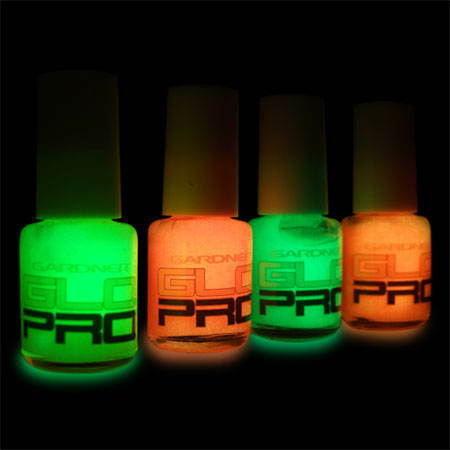 'Glo Pro' takes about 10min to completely dry. The thicker the layer you apply to the line the longer it will take to dry. Close the bottle directly after use to keep it from drying out. 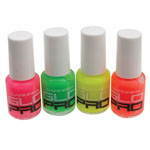 ‘Glo Pro’ is available in: Orange, Green, Yellow, Pink. 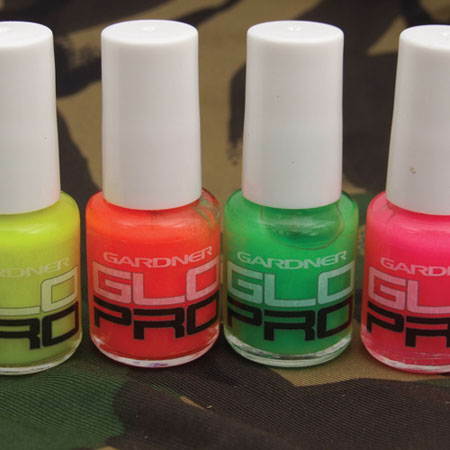 Choose a different colour for different baiting areas or ranges. Caution: Avoid contact with eyes, do not consume, etc. 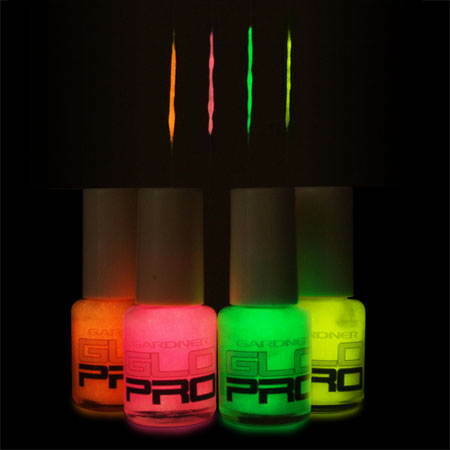 Visit the following link to buy rour own ‘Mark-It’ Glo Pro. 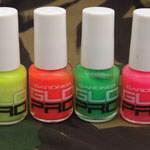 Follow the link for a bigger range of Line Markers. 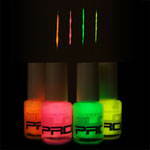 Follow the link to buy a UV Torch.